"Science took her cells. Her family reclaimed her story." HBO has unveiled an official trailer for a film titled The Immortal Life of Henrietta Lacks, adapted from the book of the same name, telling the story of Henrietta Lacks. Lacks died of cervical cancer in 1951, but her cells were taken without her permission for medical research, and they eventually became the first "immortal" human cells. Renée Elise Goldsberry plays Henrietta. The movie follows two timelines, the second involving her ancestors fighting to reclaim her name in medical history. Oprah Winfrey stars as Lacks' daughter, with a cast including Rose Byrne, Courtney B. Vance, Lisa Arrindell, and Reed Birney. This is technically a "made-for-TV" movie, but we're making an exception because this is an HBO production, and they're at the top of their game recently. An African-American woman named Henrietta Lacks (played by Renée Elise Goldsberry) becomes an unwitting pioneer for medical breakthroughs when her cells are used to create the first immortal human cell line in the early 1950s. The Immortal Life of Henrietta Lacks is directed by American filmmaker George C. Wolfe, of the films Nights in Rodanthe and You're Not You previously. The screenplay was adapted by Peter Landesman and Alexander Woo and George C. Wolfe. It's based on the book of the same name written by Rebecca Skloot, first published in 2010. 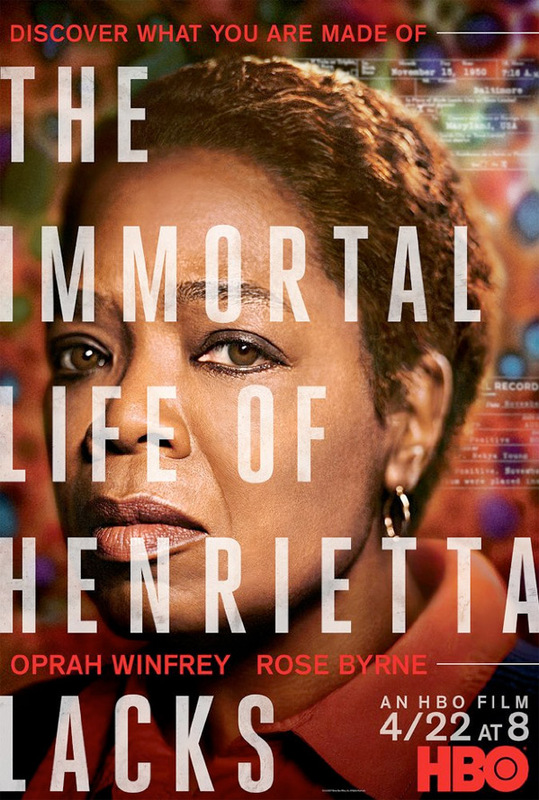 HBO Films will debut Wolfe's The Immortal Life of Henrietta Lacks direct to HBO + streaming starting on April 22nd this spring. Interested in seeing this?